The Tipsy Baker: I miss the babies they were, but I like the people they are becoming. I miss the babies they were, but I like the people they are becoming. Yesterday was Veterans Day, the kids didn't have school, Husband went to work, Owen never changed out of his pajamas, and it poured rain. It was really gray and drippy and cold and I didn't have a plan. Historically, this does not bode well for family happiness. But I discovered that something has changed, something big and permanent and bittersweet: My children are old. They make their own breakfasts. They pour their own egg nog. They unload the dishwasher when I ask them to and feed the chickens and read quietly for many hours at a stretch. It was the loveliest of days. In the afternoon, I built a fire and we all sat there reading and I was overwhelmed with gratitude, a rare Soule Mama moment for me. Kind, healthy children, a warm, comfortable house. . . I made dinner and it was perfect, especially perfect on this particular day. I made a warm pumpkin scone for a winter's afternoon, one of Nigel Slater's many Hobbity dishes. I have never eaten a non-sweet scone, so I was skeptical, but if you have pumpkins from your yard, or if your CSA gave you a pumpkin like mine did, make this now because it is easy and cheap and seasonal and delicious. But more than delicious: it is cozy. I've adapted this recipe very slightly. You could use another squash if that's what you have. 1. Cut the pumpkin into chunks and steam until soft and mashable. (I put it in a colander which I placed inside a large saucepan with a few inches of water. Covered it and let it cook for about 25 minutes.) Mash. Stir in the egg, milk, and thyme leaves. 3. Whisk the flour, baking soda and salt in a bowl. 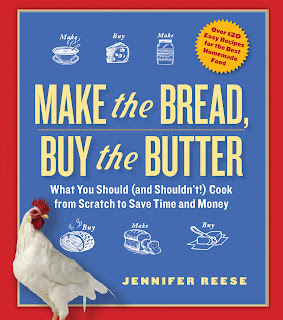 Cut the butter into chunks and rub it into the flour like you're making biscuits or pie crust. You're not after a smooth dough; you want a clumpy dough. 5. Heat the butter in a non-stick skillet with a metal handle. (Or, you can use a cast iron skillet, which I did.) Heap the dough into the skillet and then flatten into a thick patty, about the circumference of a dessert plate. Cook until the underside is lightly browned and the cake is firm. 7. Cook the cake for a few more minutes to brown the bottom, then slip the pan in the oven for 7 minutes to bake through. Serves 4. Slater says to serve it with bacon and/or cheese. Quote: "I love this with grilled Orkney bacon and slices of Cheddar sharp enough to make my lips smart -- a fine contrast for the sweet, floury 'scone' and its squishy center." I served both bacon and cheese, but next time would serve only the cheese. I was able to focus on the perfection of the sharp cheese-squishy scone combination, but others were too intent on getting an extra strip of bacon. Bacon is so distracting. For dessert, we had Slater's deeply appley apple crisp which entails sauteeing apple cubes before putting them in the baking dish and topping with crumble. This didn't redefine crisp for me, but it was very tasty. I overate. That was the only bad part of yesterday. Then I went to bed and dreamed that I gave a reading in a bookstore and only four people came. I really did dream that, which was odd because I thought I wasn't nervous at all about my reading today. Don't let my dream come true. If you're in Marin County: Book Passage, Corte Madera, 1 p.m. Given how nice it was inside and how rainy outside, did you ever consider inviting the goats in to lounge on the hearth? Have you decided what part of your book you'll be reading at Book Passage? Yes. Of course. I always want to bring Peppermint inside and if I could train her not to eat paper, I would. your post title sums up how I'm feeling right now about my 2 high school age boys. We had a similar day yesterday, too, with dark skies, thunder and hail. It was such a cozy day and I relished the time with my boys reading and playing Scrabble (these pumpkin scones would have been terrific - perhaps today after we see 50/50 or Tower Heist). A lot of deep sighs of contentment from me! I'm kind of glad/not glad that day is so far off for me. And I've always thought your kids seem wonderful, from what you share about them. No worries about that scary dream last night - you know you can count on at least 5 of us! I wish I could be there to guffaw and moan sympathetically at all the proper moments. I feel the same way about my children. They are becoming positively delightful the older they get. Are you planning to come to NYC on your book tour? It is lovely when children begin to develop personalities beyond their growth and development, isn't it? Especially if they are likeable, good people. It only gets better as they get to be adults. However, there is that hormonal "bump" when they are teenagers! Keep telling yourself that it is only temporary when you are going through it! I want to know which four people showed up in your dream. As for the kids, now you know how I felt (feel) about you. This has nothing to do with your post on pumpkin scones. I love your book. Just made your everyday bread - it was sooo simple and delicious. (I also made some queso blanco that was as easy as the bread and equally delicious! )One question, if I choose not to grind my pepper for the gravlax recipe, how much pepper (ground) should I use? Loren -- Sadly, I think my book tour is over. A very local book tour. Sra. Luna -- I'm very glad the bread worked! As for pepper -- generous pinch?